We import what we love to drink & can’t get enough of. 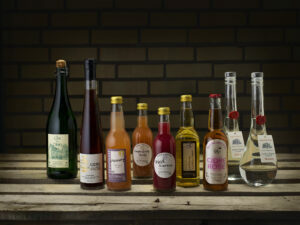 We are a Swedish importer of mainly wines, but we also carry various other drinks we enjoy to drink. The vast majority of what we bring in goes to restaurants, but you can get hold of goods that we import through our state owned monopoly ’Systembolaget’ through ’privatimport’. Of course we would love to have our own shops where you can come by, chat about wines and stuff, taste and buy a bottle or two to take home. But that is still a dream and we are not there quite yet. Our office is based in Stockholm, but we travel and work all over Sweden. The producers we choose are all working their soil without herbicides, pesticides, chemical fertilisers or farming GMO, picking the fruit by hand, using native yeasts and intervene as little as possible in the cellar. With fantastic produce there is no need for manipulation. What we search for in our wines are truthfulness to their origin and great taste. 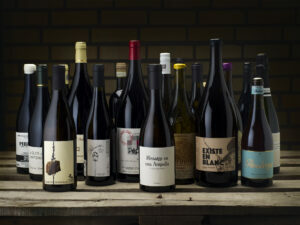 Wines that reflects the vintage they come from and that are made of healthy grapes, without use of that long list of additives that is permitted in winemaking today. Many of our producers add a little bit of sulfur prior to bottling, to make the wines stable, but that’s it. Today many people refer to it as ’natural wines’. It is a term used as a ’collection name’ for wines that are made as naturally as possible, both when it comes to farming and production. Of course the wines are not made without the human hand and there’s been a lot of debate about that name. In a perfect world, we would just want to call it wine, but there are a lot of conventional wine full of other stuff then grapes that also carries that name. So the term ’natural’ is to make it more clear for the consumer. With the same philosophy as for the Wine Rack, when it comes to farming and production, here we search for producers making good drinks of fruit and berries. First hand we want to work with Swedish producers, because we want to encourage a production of Swedish good stuff. But with that said, in the near future you’ll surely find some beverages from all around our lovely planet here to. We will develop this rack a lot over the coming years. 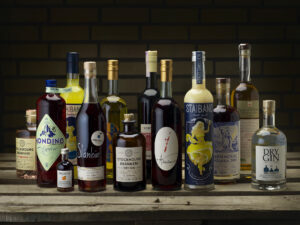 Vermouth, Bitters, Amaro, Chinato, Aperitif, Spirits and Drinks. Always good produce, but here, of course there are much more impact and blending going on after collecting the raw material. We search for traditional recipes, expressive taste and old forgotten treasures. We also produce our own stuff, under ‘Sprithyllan’. Today we make a dry Gin and what we belive is the perfect Negroni. We will continue to develop our own production of stuff we like, all organic, and as local as we can.